1Derek Nesset (e-mail: derek.nesset@bt.com) is with British Telecommunications plc., Adastral Park, Martlesham Heath, Ipswich, UK. With the recent conclusion of the XGS-PON and NG-PON2 standards in the ITU-T, the fiber access industry is now considering where to go next. This paper reviews the passive optical network (PON) systems market and the services that will drive the take-up of these next-generation PON technologies. The drivers for future PON evolution are discussed, and some technology options for the evolution of PON systems are highlighted. How Does Passive Optical Network Tackle Radio Access Network Evolution? Fixed and Mobile Convergence: Which Role for Optical Networks? D. Faulkner, R. Mistry, T. Rowbotham, K. Okada, W. Warzanskyj, A. Zylbersztejn, and Y. Picault, “The full services access networks initiative,” IEEE Commun. Mag., vol. 35, no. 4, pp. 58–68, 1997. “10-gigabit-capable passive optical network (XG-PON) systems,” . “40-gigabit-capable passive optical network (NG PON2),” . “Alcatel-Lucent fires NG-PON2 starting gun,” LightReading, Oct.21, 2014 [Online]. Available: http://www.lightreading.com/broadband/fttx/alcatel-lucent-fires-ng-pon2-starting-gun/d/d-id/711596 . “Verizon plans NG-PON2 first office deployments early in 2016,” Lightwave, Aug.24, 2015 [Online]. Available: http://www.lightwaveonline.com/articles/2015/08/verizon-plans-ng-pon2-first-office-deployments-early-in-2016.html . Ovum, “Broadband access equipment forecast (PON, xDSL, CMTS): 2015–21,” TE0006-001186, Feb.2016 [Online]. Available: https://www.ovum.com/research/broadband-access-equipment-forecast-pon-xdsl-cmts-2015-21/ . BBF.247 G-PON ONU Certification Program [Online]. Available: https://www.broadband-forum.org/technical/BBF_GPON_Cert_Launch.pdf . “Using GPON access in the context of TR-101,” Broadband Forum, , Dec.2008 [Online]. Available: https://www.broadband-forum.org/technical/download/TR-156.pdf . “10-gigabit-capable symmetric passive optical network (XGS-PON),” , June2016. “Backhaul technologies for small cells,” Small Cell Forum, , Feb.25, 2014 [Online]. Available: http://scf.io/en/documents/049_Backhaul_technologies_for_small_cells.php . FTTH Council Europe, “Innovative FTTH deployment technologies,” White Paper, 2014 [Online]. Available: http://www.ftthcouncil.eu . 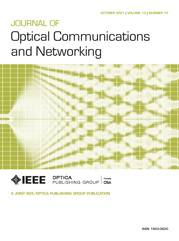 “Gigabit-capable passive optical networks (G-PON): Enhancement band,” , May2014. IEEE P802.3ca 100G-EPON Task Force [Online]. Available: http://www.ieee802.org/3/ca/index.html . “40-gigabit-capable passive optical networks 2 (NG-PON2): Physical media dependent (PMD) layer specification: Amendment 1,” , Apr.2016. J. Kani, “Solutions for future mobile fronthaul and access-network convergence,” in Optical Fiber Communication Conf. (OFC), 2016, paper W1H.1. “C-RAN: The road towards green RAN,” China Mobile White Paper, Oct.2011 [Online]. Available: http://labs.chinamobile.com/cran/wp-content/uploads/CRAN_white_paper_v2_5_EN.pdf . Common Public Radio Interface [Online]. Available: http://www.cpri.info/ . Open Base Station Architecture Initiative [Online]. Available: http://www.obsai.com . “Next Generation Fronthaul Interface,” China Mobile White Paper, Oct.2015 [Online]. Available: http://labs.chinamobile.com/cran/wp-content/uploads/2015/09/NGFI-Whitepaper_EN_v1.0_201509291.pdf . “PON optical-layer management,” Broadband Forum, , June16, 2014 [Online]. Available: https://www.broadband-forum.org/technical/download/TR-287.pdf . D. Nesset, “PON roadmap,” in Optical Fiber Communication Conf. (OFC), Mar.2016, paper W4C.1. Fig. 2. GPON and XG(S)-PON wavelength plans. U/S, upstream; D/S, downstream.